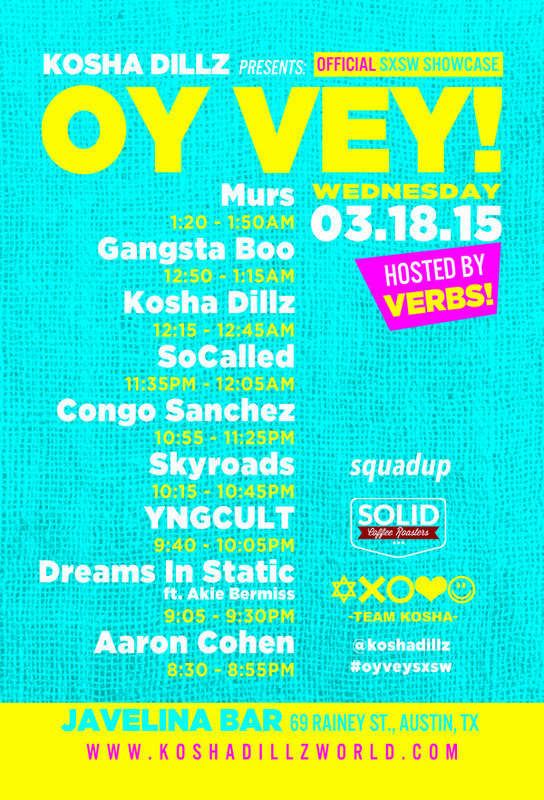 SXSW 2018 – two OY VEY SXSW !! you want in? Believe it or not, the idea is there! Take the idea of being Jewish in a hateful world and combine it with tons of talent from around the globe and make people like jews. OY VEY! Yes. 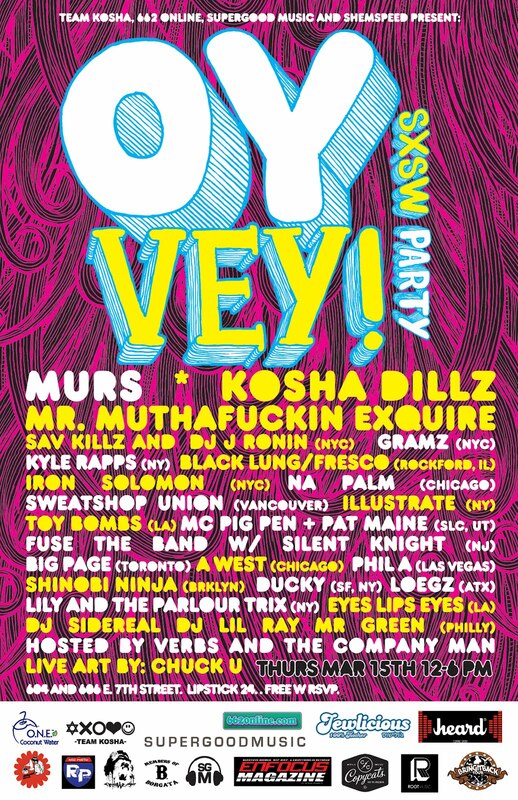 From yYddish saying that make you think OMG or WTF, OY VEY SXSW has been a live and well since 2012. It made such an impact the other years that in 2015, they made it official! Now instead of playing another show, we are doing our own gigs. It has been featured in Billboard and Jerusalem Post plus various other gems in media, but its true joy is the representation and impact in our community. 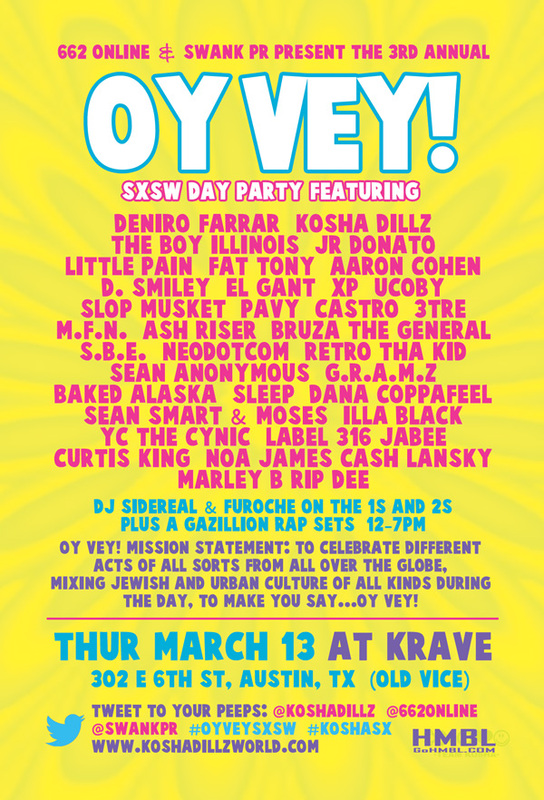 OY VEY SXSW has had collaborations with other organizations such as Tune in TLV, Oleh Records!, Empire ATX, and SOBA Counseling Center. A Wide array of community, its goal is to bridge cultural understanding in an ever so difficult landscape of communication. 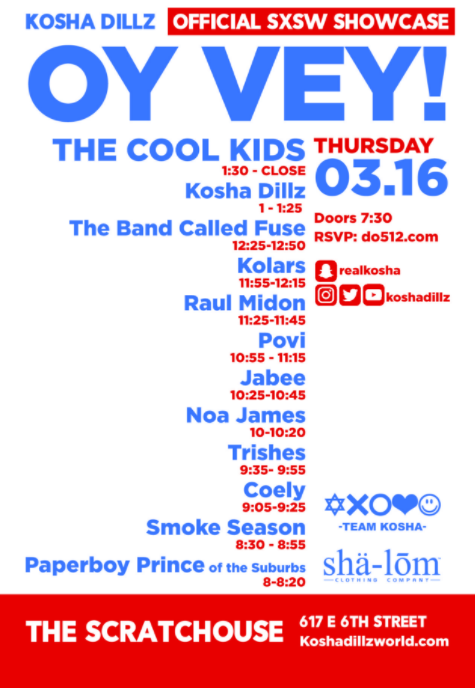 Check out our old flier and peeps 2018 schedule.